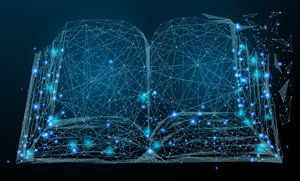 Just a year after introducing a project to embed the use of open educational resources into higher education, the state of Rhode Island announced that it has saved students $870,000 in textbook costs. Governor Gina Raimondo kicked off the "Open Textbook Initiative" last September as part of a larger goal to get more state residents to earn a postsecondary degree. All 11 institutions in the state, including Brown University, the University of Rhode Island and the Rhode Island School of Design, have pledged to support their faculty in making the transition to OER. According to Raimondo's office, at least 40 faculty members have reported adopting an open textbook since the program began in 2016. That represents 34 subject areas, from biology to economics to hospitality to psychology. At one of the participating schools, Rhode Island College, a transition to OER as a pilot in just one course, "Basic Principles in Biology," saved 400 students almost $50,000. That's the same institution that hosts an OER resource center, with links to training videos, OER collections and courses and related resources. "Over the past year, we have seen the Open Textbook program grow from just one course to 24 courses at Rhode Island College," said President Frank Sánchez, in a prepared statement. "The Open Textbook initiative is an important strategy to keep the cost of college and out-of-pocket expenses down. This year alone, we anticipate a savings of well over $100,000 for RIC students. The program has been, and will continue to be, a great resource for our students." At the same time the OER work was announced, the governor also declared a goal for degree achievement: that by the year 2025, 70 percent of working-age Rhode Islanders would earn more than a high school diploma. At that time, 41 percent of the state's residents held any type of college degree. Raimondo views the affordability of textbooks as only one hurdle in a series preventing more people from earning their degrees. "It's not just the cost of courses or standardized tests that price students out of getting a degree; it's also the cost of textbooks," she explained. "That's why last year, I launched the Rhode Island Open Textbook Initiative, challenging every college and university in the state to save students money by switching to free, openly licensed textbooks. And just one year in, we're seeing results."